queens, king, fireworks shows, future events schedules, buying tickets and news about the 2019 Carnival in Mazatlan, Sinaloa, Mexico! 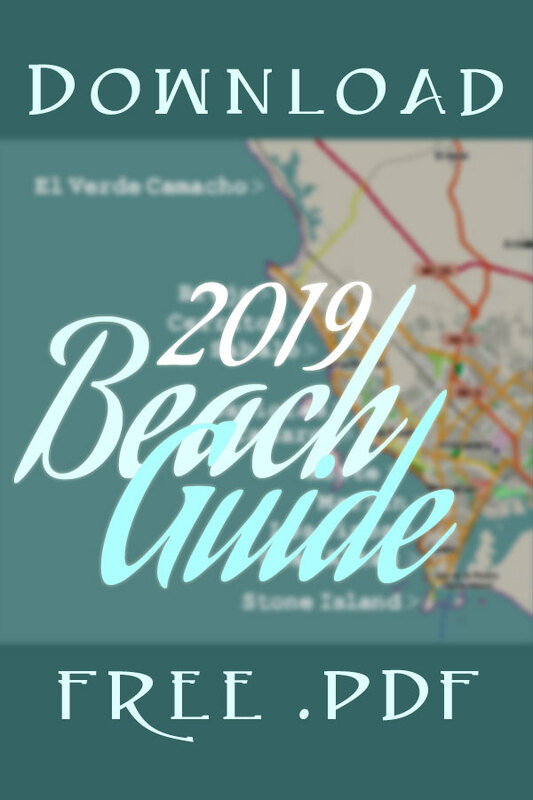 Click here to download a free updated 2019 Mazatlán Carnaval events schedule! Keep the dates Thursday February 28 until Tuesday March 5, 2019 open -- that's Carnival Week! Carnival was officially inaugurated here in 1898, and those lucky enough to visit during the week before Lent are treated to the modern Mazatlan Carnaval, the third largest carnival celebration in the world. One of the most enduring of Mazatlan tourist attractions, the upcoming 2019 Mazatlan Carnaval, centered on the Malecon, will continue the now over 120 year tradition and attract hundreds of thousands of people from all around the world. 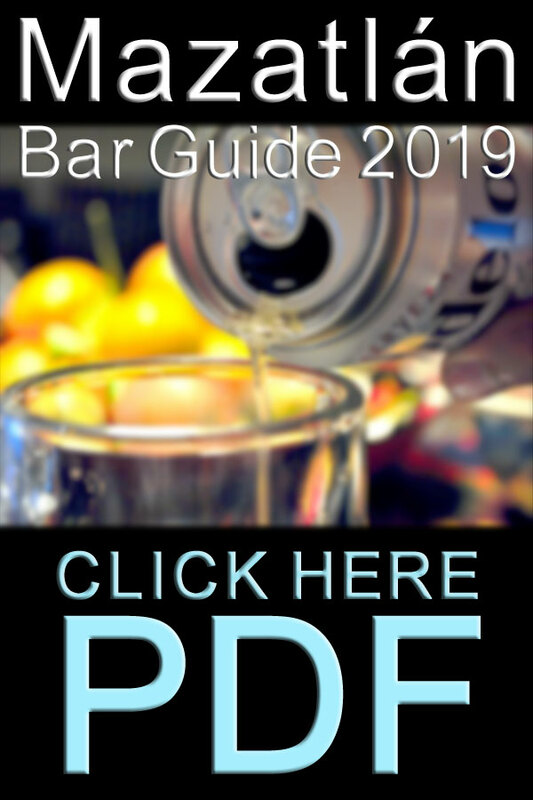 Click here to download a free updated 2019 Mazatlan Carnaval events schedule! This multi-day Mardi Gras celebration features parades, fireworks, live music, delicious food and great street entertainment set on the picturesque Mazatlan Malecon oceanfront, within the Centro Historico and at other locations throughout Mazatlan. 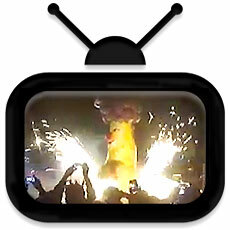 Aerial drone video of the Combate Naval carnival fireworks: fly through the eye of the firestorm! Tickets for all 2019 Carnival events -- including events held at the Venados baseball stadium -- are on sale at a kiosk outside the Angela Peralta Theater at Plaza Machado from 9am until 3pm and from 5pm until 7pm. 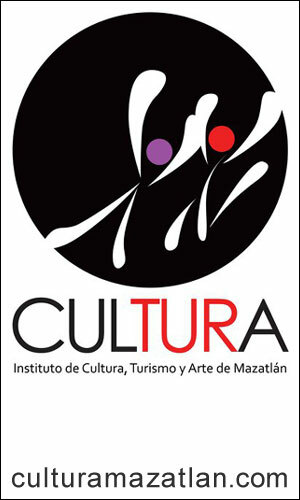 Tickets can also be purchased at Cultura's offices daily from 9am until 5pm. 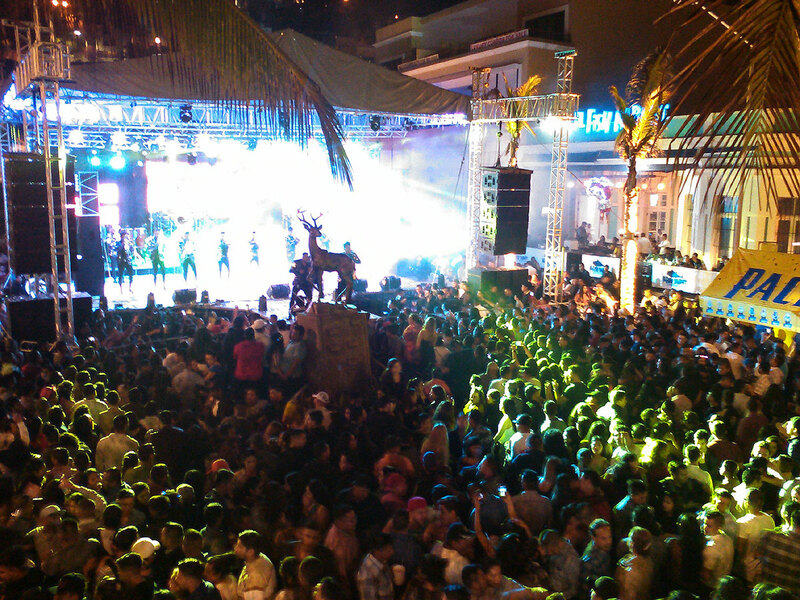 Visit Mazatlan, Sinaloa, at Carnival and experience the party of a lifetime! How do you know when Carnaval is coming? 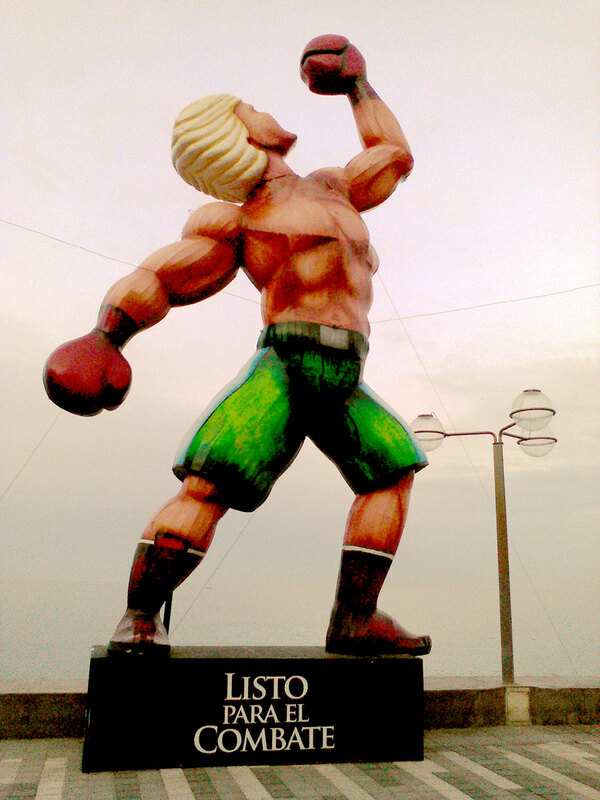 Monigotes on the Malecon! A few weeks before Carnival, strange beings begin appearing on the Malecon. 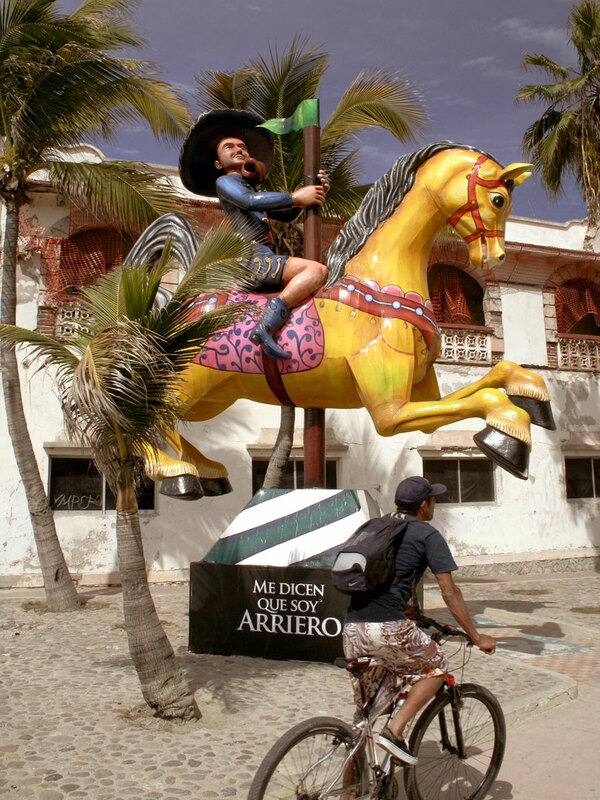 They are the Mazatlan Carnival Monigotes, some of the most fun public sculpture anywhere in the world! The Evening of the Arts (Velada de las Artes) is a special annual performance staged at the Angela Peralta Theater the Friday before Carnival. Sponsored by Cultura Mazatlan, in previous years this exciting event has been conducted by Maestro Enrique Patron de Reuda, and featured performances by Orquesta Sinfonica Sinaloa de las Artes (OSSLA). 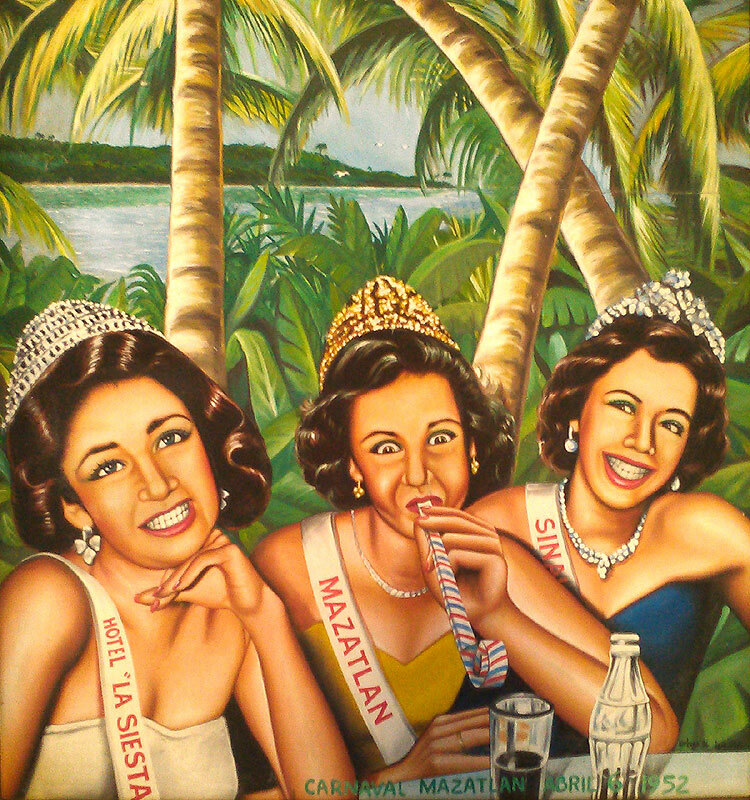 Velada de las Artes starts at 8pm, and tickets range from 250 pesos to 500 pesos. Tickets available at the Angela Peralta ticket office. Thursday February 28, 2019 / 2pm - 7pm / Centro Historico / Free! The run-up to the main events of Carnaval week in Mazatlan begin at Plaza Machado at about 2pm Thursday with Muestra Gastronomica, a fun outdoor food fest staged in the heart of the Centro Historico. Restaurants located on and near the plaza prepare all sorts of special munchies and traditional Sinaloan dishes. It makes a great place to relax into Carnaval and get ready for the coronation of the King of Joy just a couple of blocks away on the Olas Altas Malecon at 7:30pm. Muestra Gastronomica continues every afternoon during carnival. Parque Ciudades Hermanas / Free! 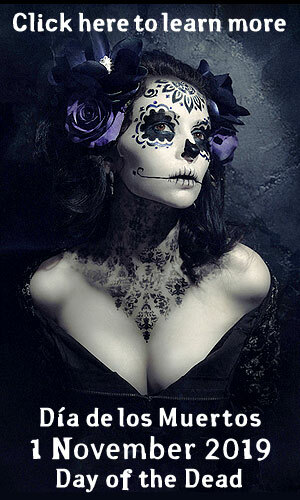 While most people think of carnival in Mazatlan as beginning on Friday, the festivities actually start on Thursday. All day Thursday the 8th the Muestra Gastronómica -- food fest -- will be underway in Plaza Machado, and after dark the King of Joy will be crowned on the Malecon overlooking the Sea of Cortez between the Deer Monument and Casa del Marino. 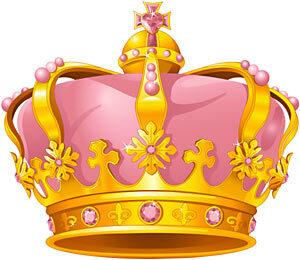 Rey de la Alegria, the King of Joy, is the modern name for the El Rey Feo, the Ugly King. 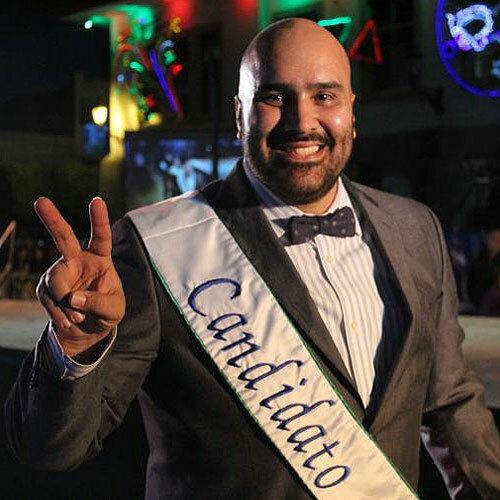 The candidates for 2019 Mazatlan King of Joy were Fabián Ernesto Maldonado Cázares, César Tulio Martínez Tirado and Radamés, with Tulio winning by a landslide with over three times the number of votes as the runner-up, Radamés, who has been named our Prince. 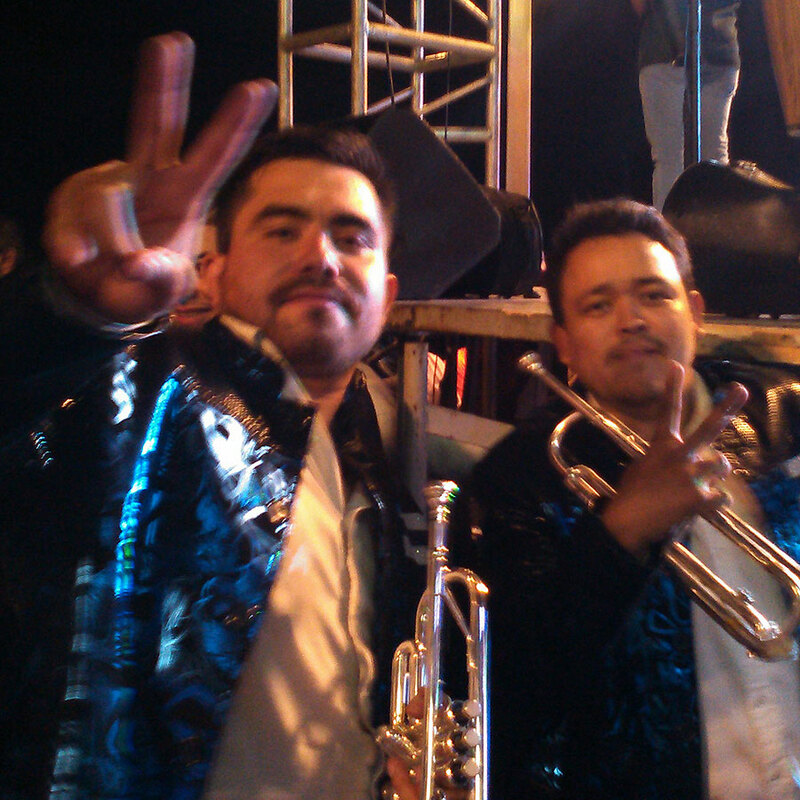 The Mazatlan King's coronation is always a Banda Bash, let the street party begin! The big carnival concert -- and coronation of the Mazatlan Juegos Florales Queen -- is staged in the Mazatlan Venados baseball stadium. Juegos Florales ("Floral Games") is always a well-attended event that centers on literature and culture. Awards are given to contestants who have written the best "flowery verse", the top prize being the prestigious Clemencia Isaura Poetry Award, a nearly 70 year tradition of honoring the best unpublished work from anywhere in Mexico. The Floral Games event is also where the Mazatlan Prize for the best literary work published in Mexico during the year that precedes the feast is delivered within the framework of the celebrations of Carnival. This literary award has gained great prestige within Mexico and internationally, with winners including well-known writers such as Ricardo Garibay, Elena Poniatowska, Hector Aguilar Camin, Juan Villoro and Jorge Volpi. 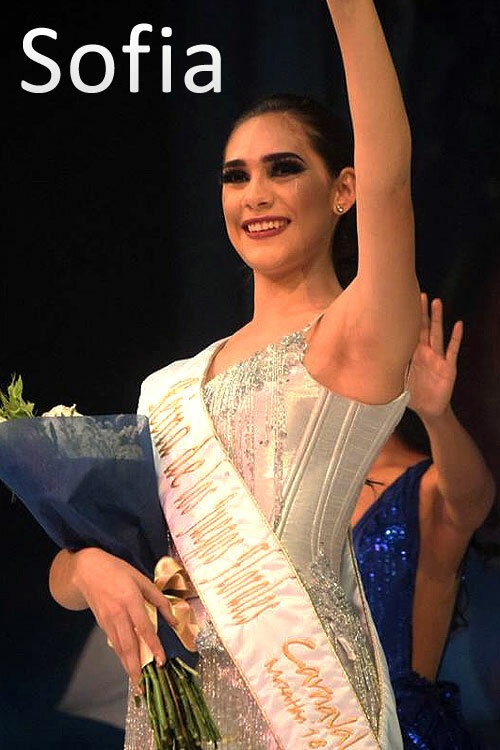 The Queen of the 2019 Mazatlan Carnaval Flora Games is Sofía Briseño Briseño. Just 17 years old, she is one of the youngest young ladies ever named Queen of the Floral Games. Since (earlier...) childhood, Sofia has attended coronations, and it was the encouragement of reigning Carnaval Queen Viviana that prompted her to run this year. Sofia's coronation featured Il Divo, a classical crossover group from the United Kingdom. Visit the 2019 Mazatlan Floral Games: it is a beautiful evening, and a highly recommended way to begin Carnaval! Carnaval Saturday evening festivities begin with the coronation of the Carnaval Queen at the Estadio Teodoro Mariscal / Venados Baseball Stadium. 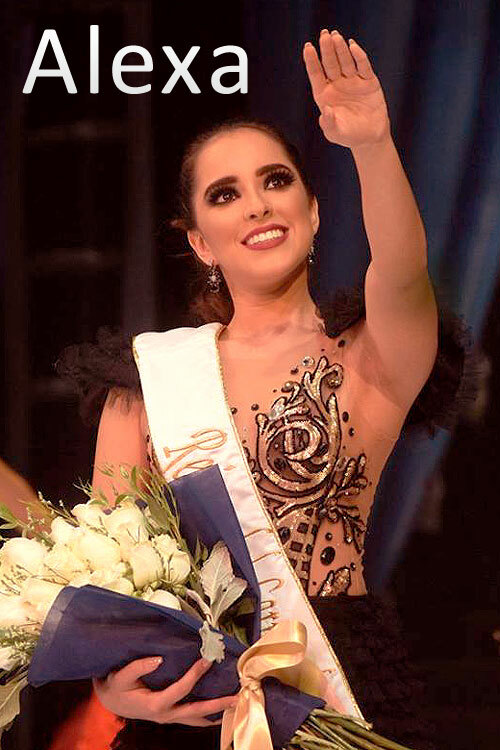 Alexa Méndez Sarabia was chosen 2019 Mazatlan Carnaval Queen, and reigns until the 2019 Queen is crowned. The candidates for Carnival Queen in 2018 were Ana Paola Beltrán, Sofía Briseño, Daniela López Caballero, Gabriela Lizbeth Cristerna Díaz, Jessica Margarita López Salazar, Alexa Méndez Sarabia, Mayrim Morales Miramontes, Elsie Alejandra Muzquiz, Paola Estefanía Nordahl Macías, Brisia Carolina Tirado Martínez and Alejandra del Rosario Tirado Tirado. Our spectacularly beautiful 2018 Carnaval Queen is Alexa Méndez Sarabia. She is 19 years old and a student of industrial engineering at Universidad Tec Milenio. Alexa loves music and films, playing soccer and swimming -- her favorite sport. Alexa's coronation featured a headline concert by Panamanian pop musician and actor Miguel Bosé. Known throughout Latin America as an exciting performer, his recording career spans 5 decades: he released his first recordings in 1975 when just 19 years old and already a teen heart-throb -- as a result of his already-established film career! 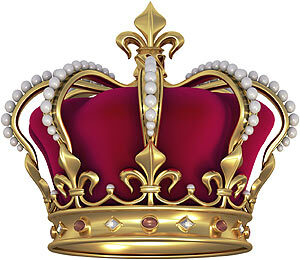 A truly joyous event, it is well worth going to Venados stadium and experiencing the coronation for yourself. Big-time fun! Olas Altas Malecon / Free! 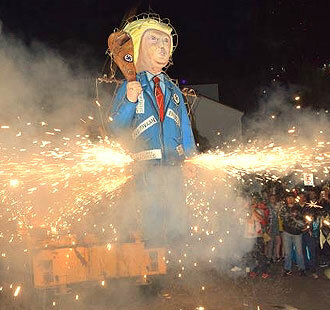 A traditional annual Mazatlan Carnaval ritual, the climax of Quema del Mal Humor (Bad Mood Burning) is the incineration of a giant puppet. Sometimes modeled after an unpopular public figure, sometimes just someone famous, the effigy is hanged and burned -- think massive exploding flaming piñata on steroids. It is believed that this ritual banishes ill-feeling from Mazatlan. 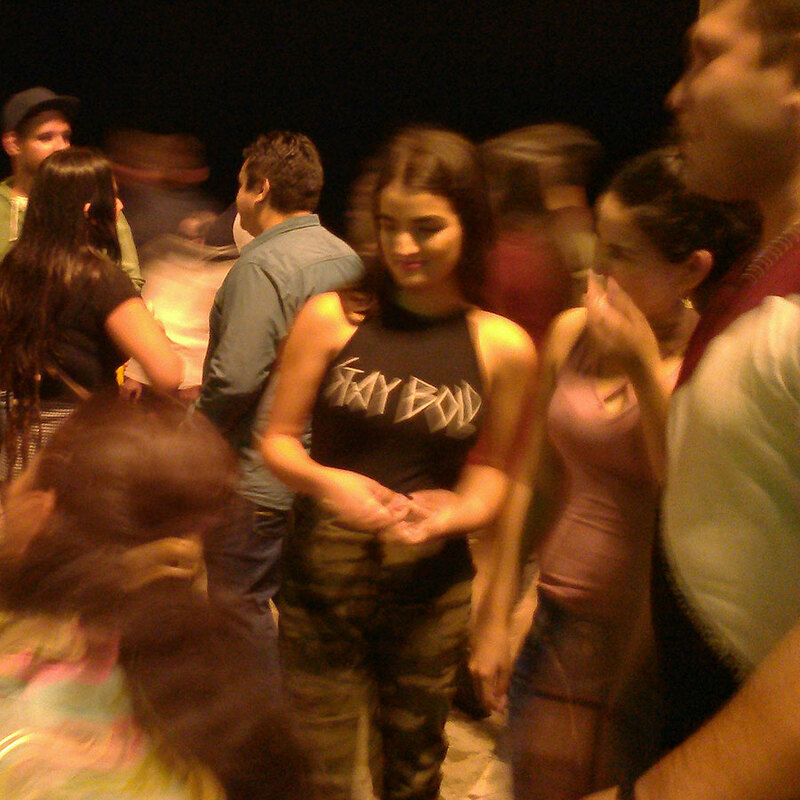 Quema del Mal Humor / Bad Mood Burning takes place Saturday night of Carnival Week after dark on the Malecon at Olas Altas Beach. The event is very festive and very well attended. Olas Altas Malecon / Free along the Malecon! 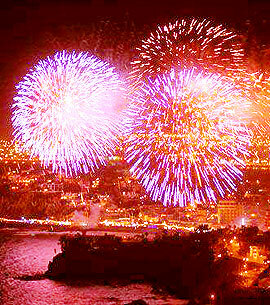 This fireworks show is a dramatization of the defense of Mazatlan during the French Colonial invasion of 1864. The pyrotechnics and sounds evoke the cannon fire exchanged during the battle with the French warship La Cordeliere and the British war sloop Charybdis. 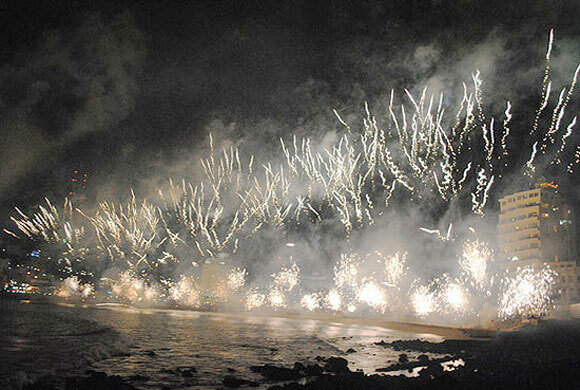 Traditional fireworks are now joined by the effects generated by light and laser shows, and this Mazatlan Carnaval fireworks show is arguably the most popular event staged at Olas Altas Beach during carnival. Olas Altas Beach to Valentino's / Free! Arguably the most iconic and universally anticipated event within any Mazatlan Carnaval calendar, the Inaugural Parade -- sometimes referred to as carriage float parade -- that is held on Sunday is at the top of every list of recommended carnival attractions. 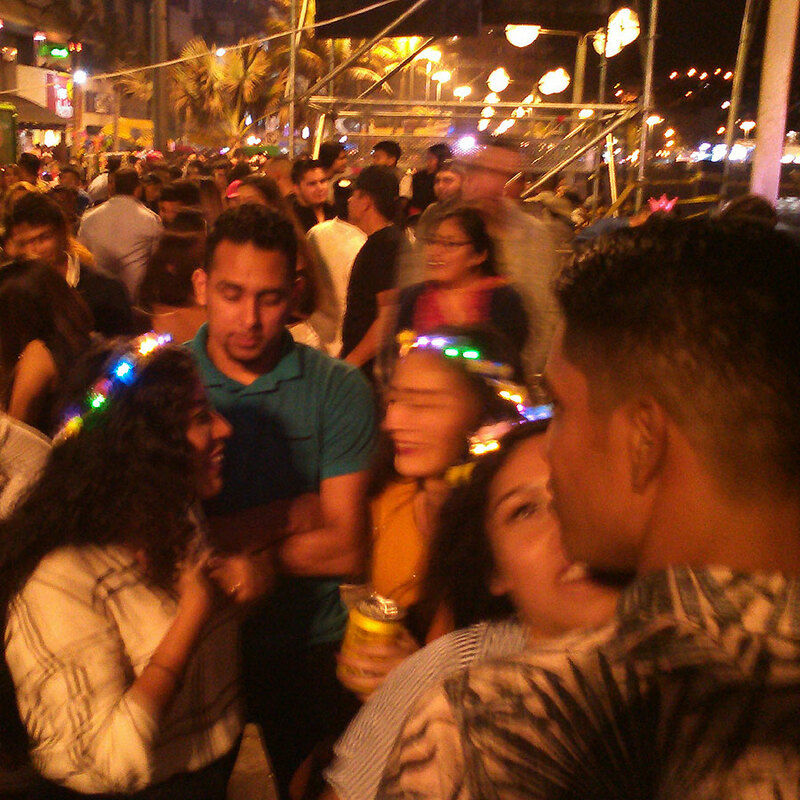 The Malecon between the Fisherman's Monument and Valentino's is transformed by the ocean of revelers that line the waterfront. This parade is northbound starting at the Fisherman's Monument. 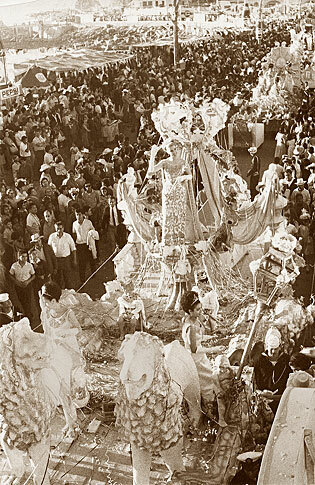 Its sister parade on Tuesday flows south and returns the carriage floats to the Centro Historico. Time-lapse video of the Carnaval Inaugural Parade! Very Cool! What could be more adorable that little children dancing? The Baile Infantil on the morning of the coronation of the Child Queen provides that in spades! Held at Salón Espectaculare on Camaron Sabalo, this annual event is packed with Mazatlecan children enthusiastically dancing to the delight of family and friends. Lots of prizes are awarded and the creativity of the costumes and choreography is amazing! The Child Queen (Reina Infantil) is an important part of carnival in Mazatlan, and her coronation is one big party suitable...for...a...queen! The tradition of a Child Queen of the Mazatlan Carnival dates from 1921, and the modern child queen coronation is staged at Estadio Teodoro Mariscal (Venados Baseball Stadium). 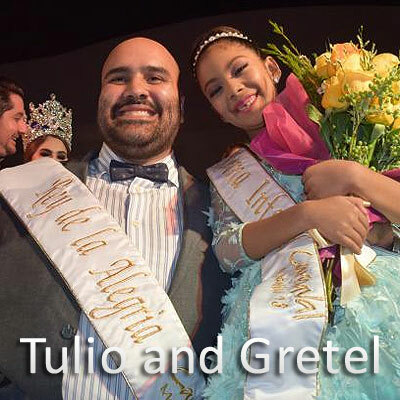 The candidates for 2019 Mazatlan Child Queen (Reina Infantil) were Camila, Gretel and Shuleyka, with Gretel winning by a substantial margin. Gretel Yamileth Ochoa Pineda is an adorable 7 year old student at Andes School. Gretel loves soccer, ballet -- and Carnaval! 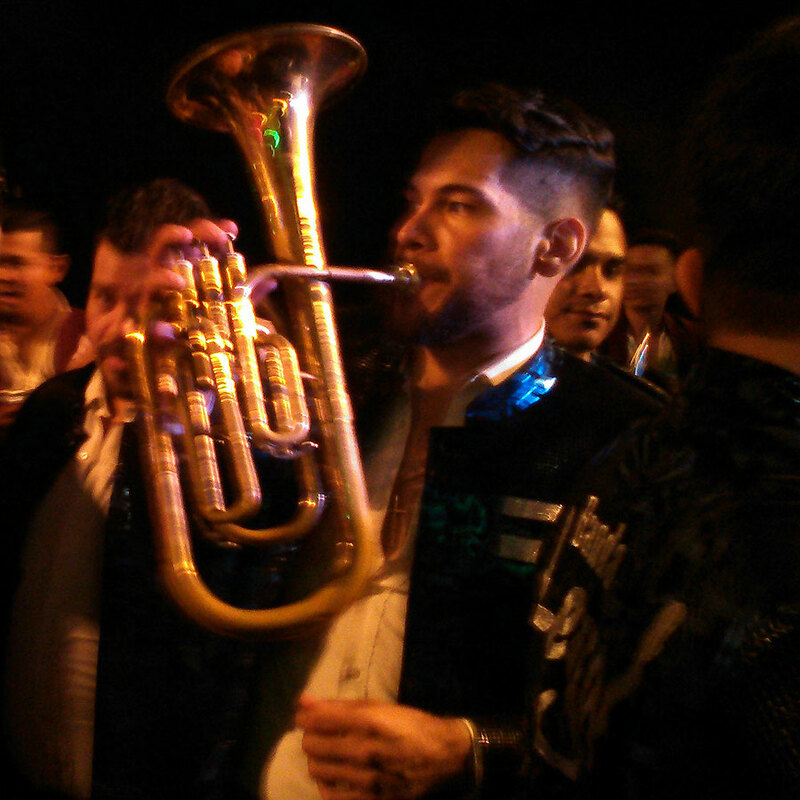 Gretel's coronation featured a concert by Mexican superstar boy-band CD9. It's easy for older people -- older than, say, 23 -- to dismiss boy bands out of hand. This dismissal is not always deserved. Check out CD9 fronting La Sonora Santanera -- serious old dudes with a tradition dating from 1955 who know how to play Mexican Tropical as well as any band on the planet. 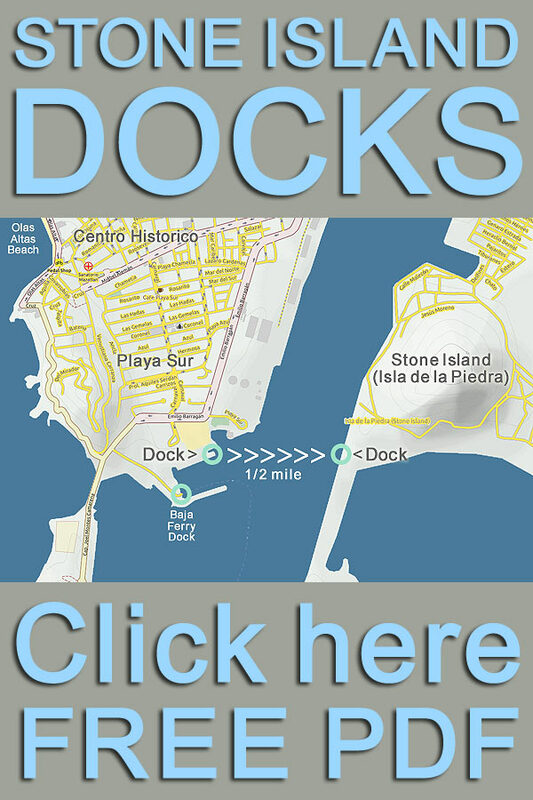 Starts at the Aquarium and proceeds south along the Malecon / Free! 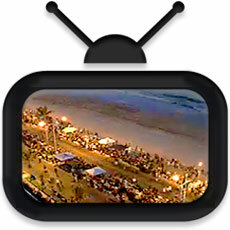 The closing parade marks the beginning of the end of the Mazatlan carnival. Segundo Desfile de Carnaval -- the second and final parade of the Carnaval season -- flows along the Malecon from the Centro Histórico all the way north to Valentinos. Far from a time of sadness, this last evening of revelry matches anything that preceded it, and the party continues long into the night! 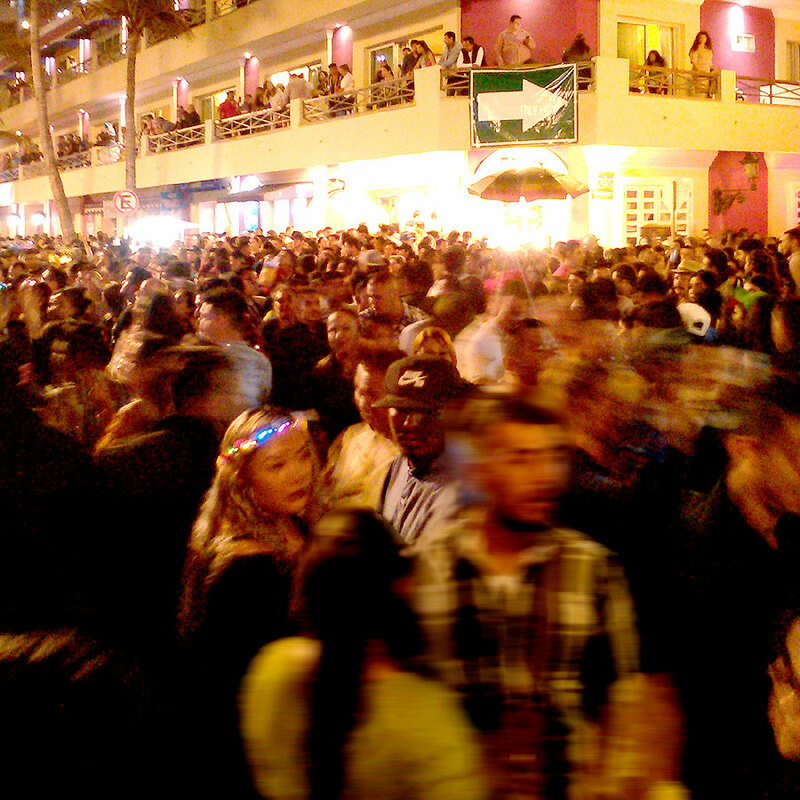 Mazatlán Carnaval FAQ for first-time visitors to our party! • A large portion of the concerts and musical events at carnival take place on the Malecon at Olas Altas beach and in the Centro Historico adjacent to it. Carnival 2018 featured nearly lots of bands playing nightly throughout carnaval week from 6pm until 4am! 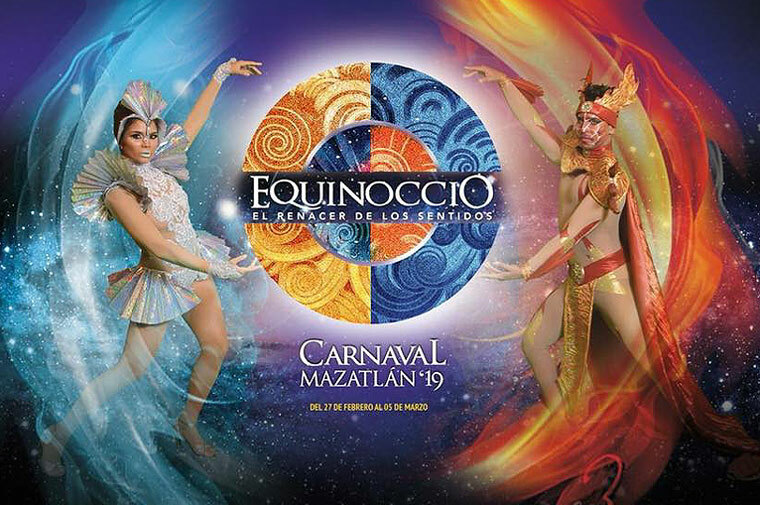 • Tickets for major Mazatlan Carnival events are purchased at the Angela Peralta ticket office -- even the events in Estadio Teodoro Mariscal / Venados Stadium -- after New Year. Angela Peralta Theater box office hours are from 9am until 3pm and 5pm to 7pm. A ticket kiosk outside the theater at the edge of Plaza Machado is open from 10am until 1pm and 3pm to 8pm. Carnaval tickets are also available at kiosk in La Gran Plaza from 11am to 8pm every day after New Year. 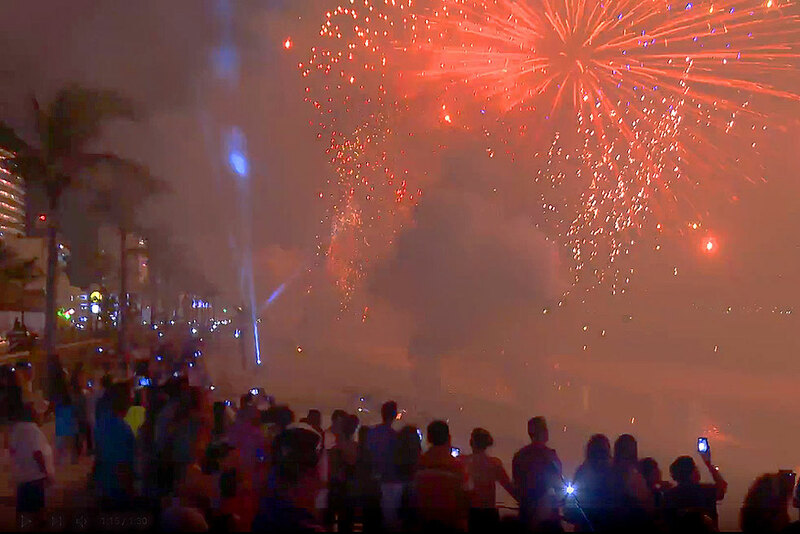 • Spectacular fireworks play a big part in Mazatlan Carnival celebrations, with the largest show, Combate Naval, being staged on the Saturday night of carnival. In recent years the traditional fireworks shows have been augmented with modern technology -- lights and lasers -- as well as music. 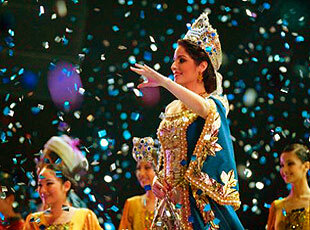 • No person is more central to Carnaval in Mazatlan than the Queen. 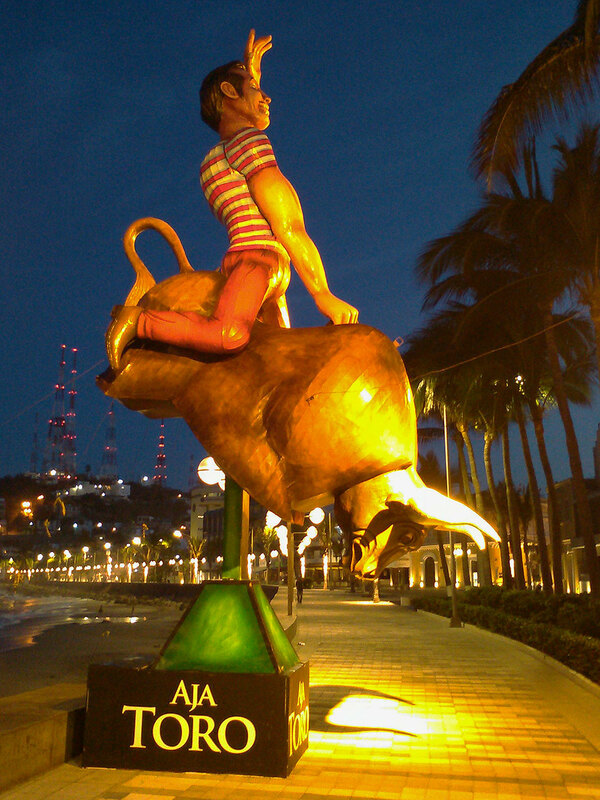 The first two Mazatlan carnivals -- 1898 and 1899 -- were presided over by an Ugly King (Rey Feo), a buffoon-like character. 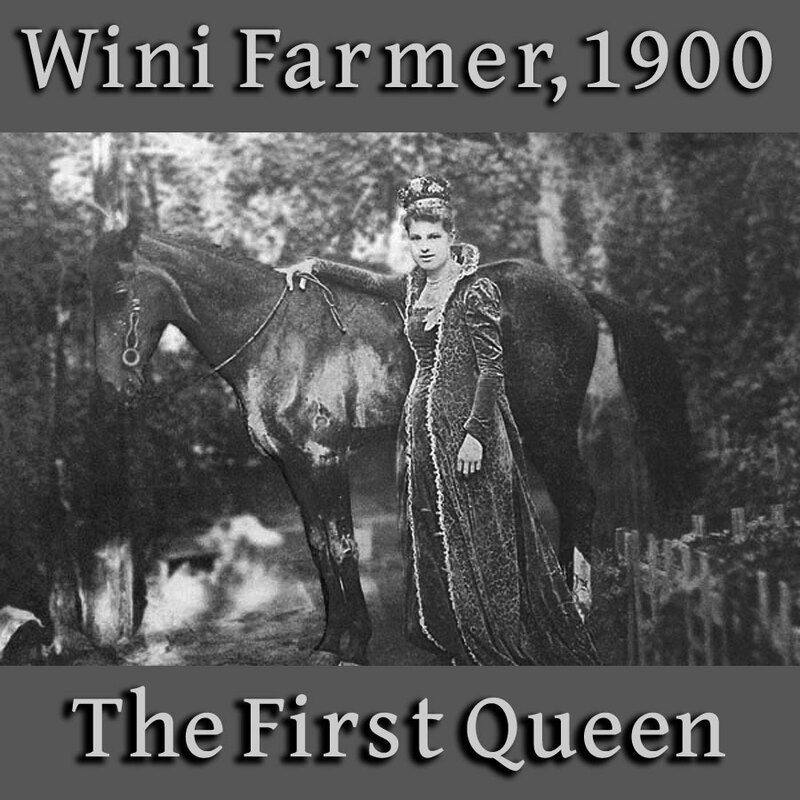 But that changed permanently in 1900 when a lovely North American named Wilfrida Farmer became the first Queen of Carnaval. The beautiful Queen is now paired with Rey de la Alegría (King of Joy -- Rey Feo was re-named in 1965) who remains a part of the festival but is certainly not its superstar! • Early parades were simple affairs -- people on bicycles, some costumes, some acoustic music. The modern Mazatlan Carnival parade is far from that, and incorporates all manner of sound systems, lights, costuming and glitter. Parades are a very big part of Carnaval in Mazatlan -- as they are for carnival celebrations throughout the world -- and the floats, dancers and marchers in Mazatlan are world-class. Carnival in Mazatlan is without a doubt one of the most vibrant celebrations in Mexico, and well-worth a trip to Mazatlan. Visit the 2019 Mazatlan Carnaval, experience the excitement and form memories that you will hold dear for the rest of your life! The tradition of mid-winter festivals in Mazatlan is as old as the city itself, with masquerades and feasts referenced in histories that date from the time of the earliest setters in the early 1800s. It is suggested by some historians that these festivals originally reflected the traditions of the indigenous population -- with some Spanish influence, much like the melding of early religeous practices. These celebrations are noted as early as 1823, immediately after Mexico became an independent nation and our port became even more open to international commerce. 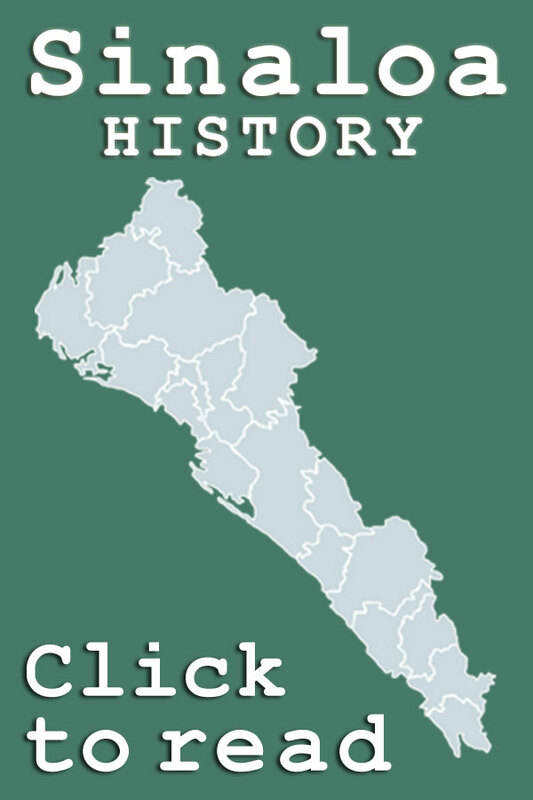 Though "Carnaval" was noted in Mazatlan as early as 1848 -- it was mentioned in the Mazatlan newspaper La Lechuza -- it wasn't until 50 years later than the event took its present form as a week-long multi-event blow-out complete with parades, floats, social events and an official King and Queen. 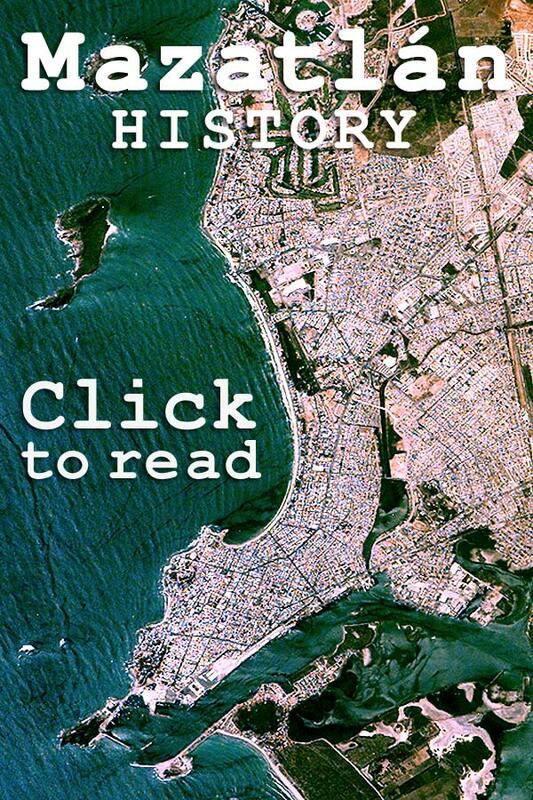 The very end of the 1800s -- 1898 to be exact -- marks when Mazatlan officially embraced the Mardi Gras tradition of Carnival, and there has been no turning back from this massive annual public party! 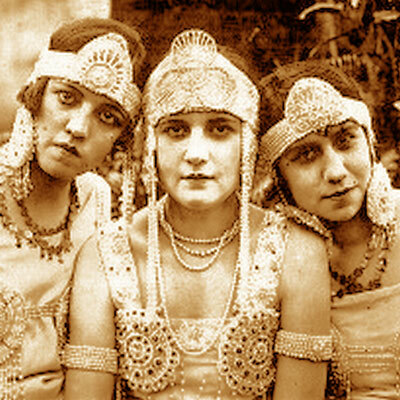 History notes that the early Mazatlan Carnivals -- pre 1898 -- were informal and often somewhat vulgar. Women threw flour and hollow eggshells (cascarones) filled with glitter, and men responding by tossing ashes and dyes at the women. These earliest Mazatlan Carnavals also included mock battles where rival groups -- dock workers and market workers -- shouted insults and taunts and threw rocks at each other. But in 1898 civic leaders headed by Dr. Martiniano Carvajal and a committee with an international flavor -- it supposedly included an Irishman, a German, a Spaniard and an Italian -- organized a parade made up of carriages and bicycles "to eradicate the immoral flour and replace it with the pure and more restrained confetti." 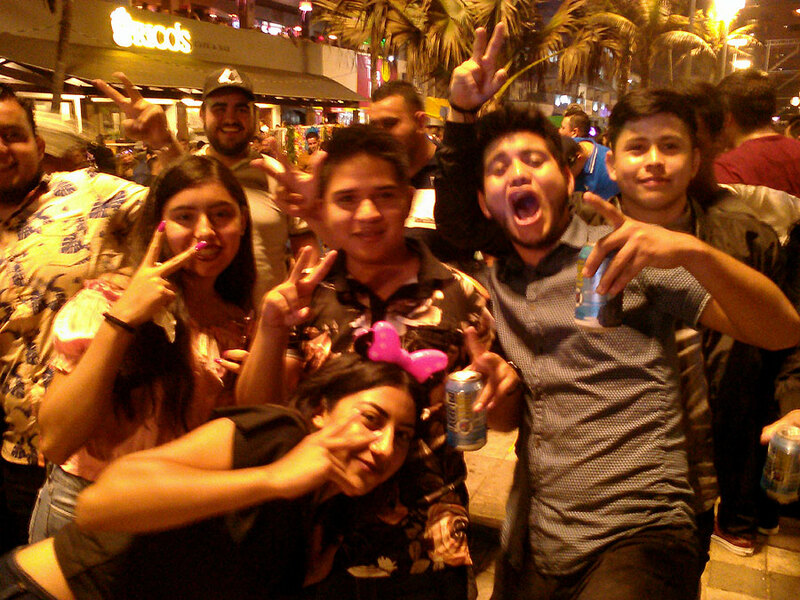 The event was focused within Plaza Machado and the nearby Centro Historico streets, but rapidly carnival spilled out of the Centro Historico and spread north from Olas Altas Beach up Paseo Claussen. 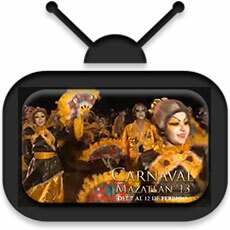 Modern Mazatlan Carnavals have themes that serve to unify the appearance of the floats, dancers and other performers. The tradition of a carnival theme dates from 1943, when Mexico had just joined the allied side in WWII after German submarines had sunk Mexican ships. 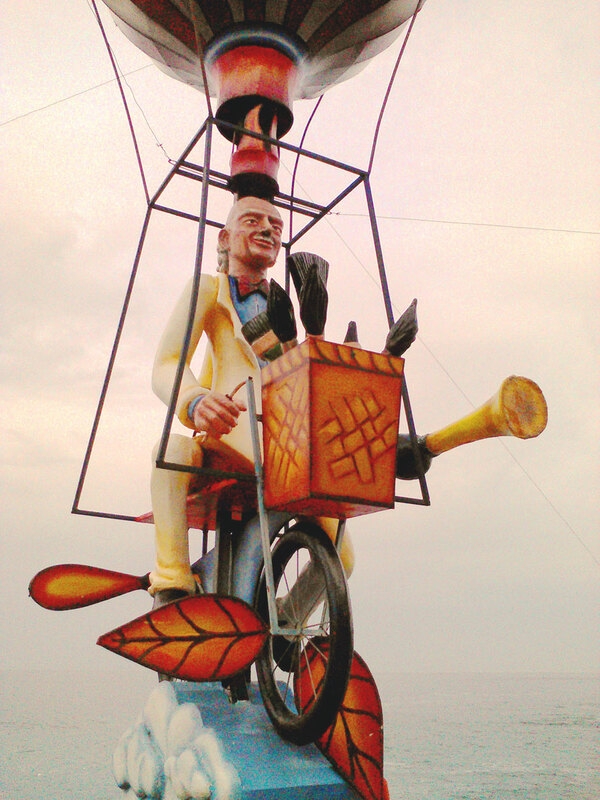 Mazatlan decided to create a theme for the 1943 carnival that expressed the hope of victory: "El Carnaval de la Victoria" - The Carnival of Victory. In 1962 the concept of a carnival theme became official, and each Mazatlan Carnaval since has had an official theme, the 2018 theme being Patasalada: El circo de los talentos. The parades and events of the modern Mazatlan Carnaval now stretch north of the Golden Zone and into neighborhoods inland from the Malecon and, while todays Carnaval may not involve tossing flour, it is hardly restrained! 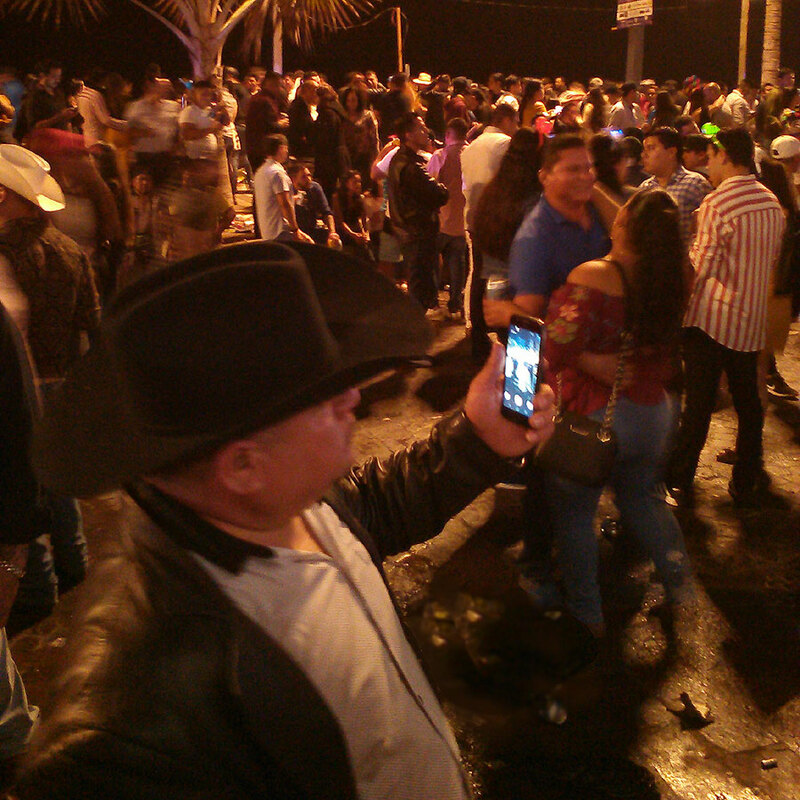 Mardi Gras in Mazatlan is one of the biggest and best bashes anywhere in the Americas that sees thousands of costumed revellers thronging the Malecon and beaches. The modern Mazatlan Carnaval combines the best of the history of traditional carnivals with the excitement of modern technology -- each evening of Carnival Week the Malecon, Olas Altas Beach and the Centro Historico become the perfect stage for this singing and dancing Bacchanalia, with parades, outdoor concerts, fireworks, sound and light shows and beer for everyone stretching farther north than the eye can see! 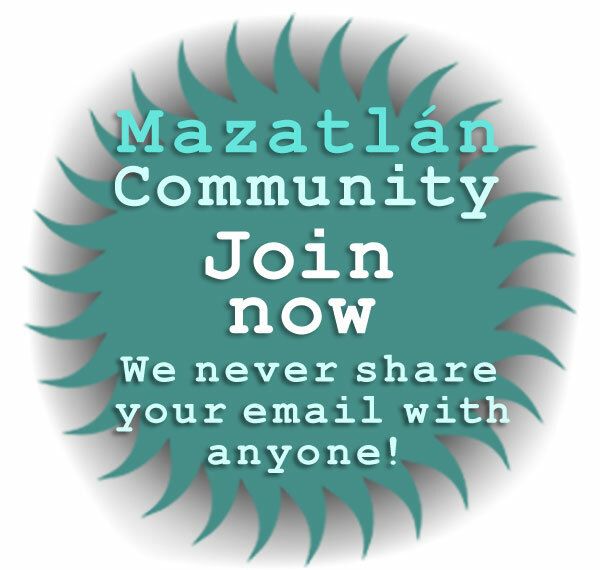 The 2019 Carnival in Mazatlan - Schedules, news, upcoming event calendar, FAQ and information about concerts, parades, fireworks, king, queen and the history of Carnaval in Mazatlan!